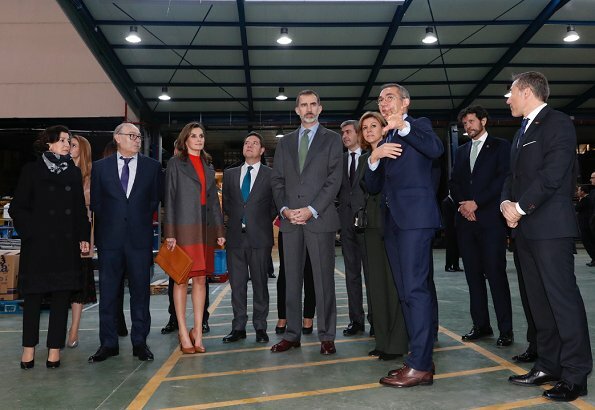 On January 19, 2018, King Felipe VI of Spain and Queen Letizia of Spain visited the headquarters and factory of 'Joma Sport' in Portillo de Toledo, Spain. Joma is a Spanish sports clothing manufacturer, which currently produces footwear and clothing for football, futsal, volleyball, basketball, tennis, running, fitness, padel. Its headquarters is located in Toledo. Queen Letizia wore a wool blend cashmere striped coat and skirt from colorina collection of Hugo Boss, which she had worn before. I like this outfit except for the portfolio the Queen uses as a handbag. Big enough to be annoying. 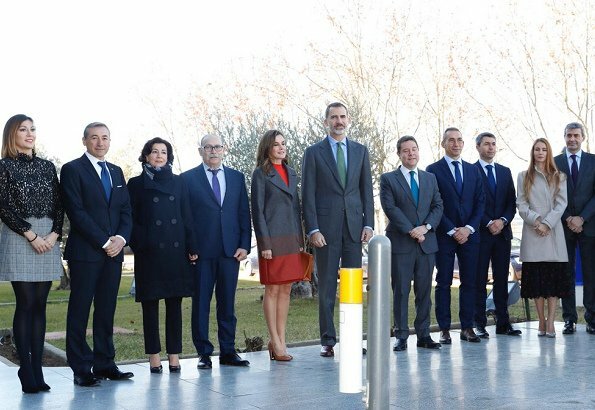 I want to share this link about the dress Queen Letizia wore in the lunch birthday of King Juan Carlos, last 5th January. Someone suggested It could have belonged to Queen Sofía. Well...It was true! Queen Sofía wore it 1981. Sorry, the year is 1984, no 1981. I like this combo a lot. Feminine, not too complicated and colors are becoming to her. The shop window dummies in the first picture look like Santa Claus. But Letizia looks good! I have always loved this outfit! 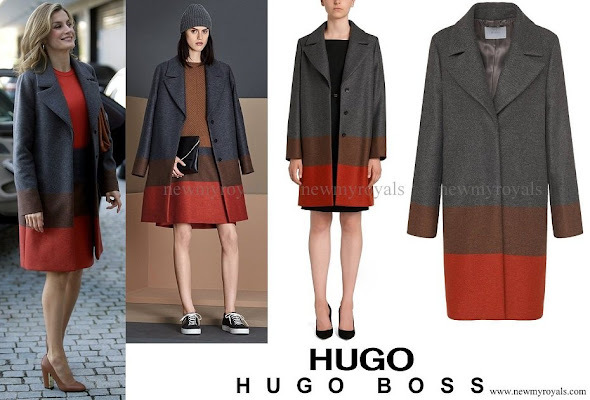 I love the coat! Precioso conjunto, de colores muy agradables. Bonitos los pendientes nuevos. Marianne RF, los tacones son altos pero muy gruesos, así que son cómodos.